Like any homeowner with a septic system, you should have a clear understanding of what kind of maintenance is recommended to keep everything working correctly. 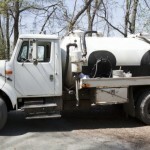 We’ve provided a brief guide for how to handle residential septic services so that you can feel confident about how to proceed while involving a professional. You might be surprised by how much water you use in your home every day. 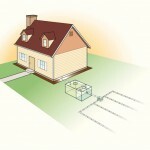 The reason it is difficult to quantify is because it is all carefully contained and drained from your home. 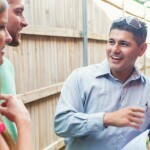 Without an adequate drainage system, you would have a lot of flooding and standing water. 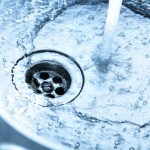 You’ve likely experienced slow drains before, and this can certainly be frustrating. 1. Use less water. Being conservative allows your system to properly filter water better. 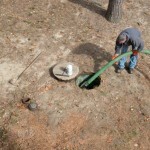 Managing a septic system does require some work and attention. Since the waste for your facility or home is all being contained and filtered by an onsite system, you don’t have the benefits of having the local government manage everything for you. Routine maintenance is highly recommended, and septic tank pumping is a great way to clear out your system and get everything running smoothly and efficiently again. Besides the bathroom and laundry room, the kitchen is the other major site in a home or business where water is used. Water to clean dirty dishes in the dishwasher; water to drink from the refrigerator; or water from the kitchen faucet for either purpose. 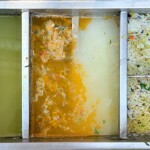 Like water from the rest of the property, kitchen wastewater flows into the septic tank, but often passes through an additional step first: the grease trap. 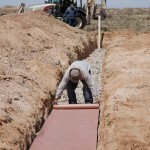 Septic systems, also called septic tanks, are a method of wastewater management designed for single homes. 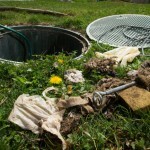 Septic systems are not connected to public sewer systems and instead function independently. 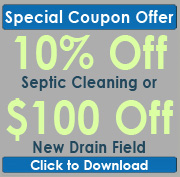 A typical septic system has two main components, the septic tank and the drain field. When wastewater flows into your drains, it continues through your pipes and into the septic tank, where it then separates into solid and liquid matter. The solid waste sinks to the bottom and remains in the tank until it is removed via pumping, while the liquid passes through into the drain field, where it is then slowly released back into the soil. All waste management systems need maintenance to keep working. For homes connected to a municipal sewer system, that maintenance is the responsibility of the local government. But if your home has a septic tank, maintaining it is your responsibility. 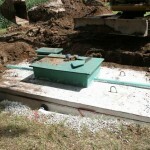 A critical part of taking care of your septic system is scheduling regular septic tank pumping. At Southeastern Septic LLC, we recommend a septic tank pumping every 3 to 5 years, depending on the size of your tank and number of residents in your home.